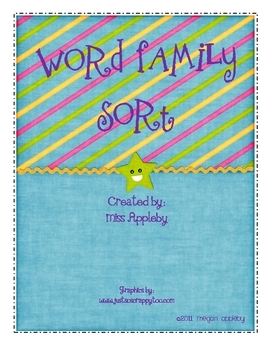 Word Family Sorting Mats is a popsicle-themed activity that contains one -et word family mat and one -en word family sorting mat, 21 -et and -en words, and a follow-up activity page. Students may work independently or in pairs during literacy centers. 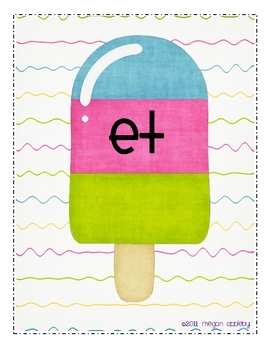 During the activity, students should read the word on the popsicle and then sort the word onto the appropriate word family mat. After all of the words are sorted, children record the words on the follow-up activity sheet.